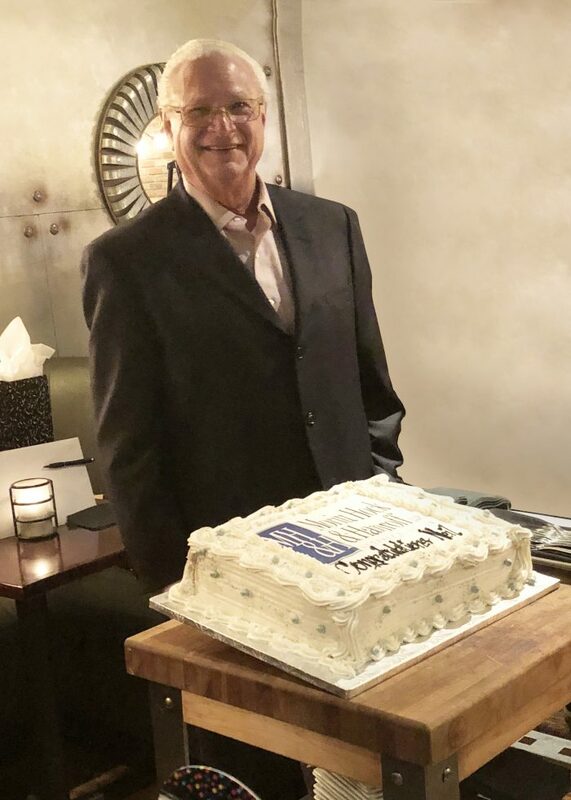 On January 8, 2019 we hosted an intimate gathering of the Firm including members of Neil’s family at which we celebrated the retirement of our founding partner Neil J. Moritt. The announcement provides us with a wonderful opportunity to look back and give thanks to such a great friend and invaluable mentor. Neil founded the firm in 1980 and for nearly 40 years he has been a visionary force behind our success and growth. Renowned as a “Lawyer’s Lawyer”, he is revered by peers and clients alike for his professionalism, fair-mindedness, and deep concern for the well-being of others. In the courtroom he was both proficient and shrewd, earning him the respect and admiration of both the Bench & Bar. The core principle of Moritt Hock & Hamroff is “Strength in Partnership.” Neil partnered with current and past MH&H employees, partnered with MH&H clients and paved the way for the growth we now enjoy. Neil leaves behind a truly inspirational legacy and we will always be grateful to him and the positive impact he has had on all of us, as well as on the legal profession. We wish Neil all the best in his retirement. Our guess, however, is that his good counsel and strategic advice will never be far away.